I am a Swiss social scientist with a particular interest in gender and gender inequality. I had the privilege to do PhD and postdoc research on gender equality in Switzerland and in a large number of countries on all continents. I enjoyed a broad interdisciplinary education from several universities and travelled internationally for research. Parts of my latest research I developed in the international, agile and entrepreneurial environment of the coworking space urbanfish. I am fond of social innovation and open source community methods. Networking and mentoring are my second nature, but only a small set of my profound methodological skills. I have a lot of experiences to consult, teach and negotiate. I launched my own start-up (www.bogenstunden.ch) to provide archery classes for everyone independent of a archery club. 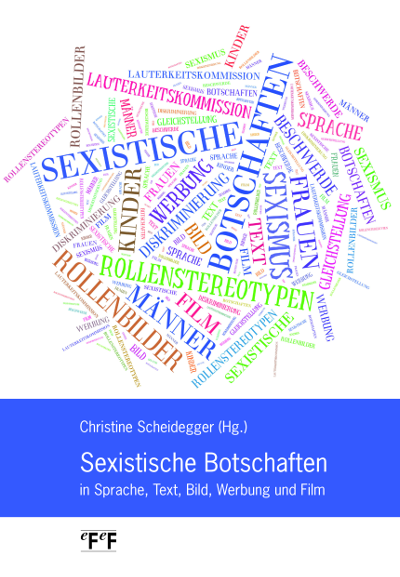 I published a book on everyday sexism (Sexistische Botschaften) in German-speaking countries. I give workshops for groups and organisations interested to happily avoid and resist everyday sexism. This autumn I guided a couple of school classes through the exhibition „I säge was lauft“ (prevention of sexual violence in young couples). I work as a tester of products, services and websites. My specialty is to help people along from discriminating to cool, non-discriminating websites, products and services. I am happy to help you build a personal website with WordPress in a way that you can administer it on your own afterwards. Besides that, I am a youth and sport trainer in an archery club in Bern. Book chapter in Auth, Diana, Hergenhan, Jutta and Barbara Holland-Cunz (eds. 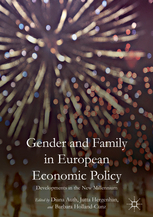 ), 2017: Gender and Family in European Economic Policy. Developments in the New Millennium. Palgrave, Basingstoke. ISBN: 978-3-319-41512-3. Our articles sorts through reasons for the (non-)increase of women’s political representation in Europe in the last 15 years. Sexistische Botschaften in Sprache, Text, Bild, Werbung und Film. eFeF-Verlag, Wettingen. ISBN: 978-3-905561-91-3. It deals with sexism in German-speaking countries and measures against sexism. Authors are: Dominique Grisard, Andrea Maihofer, Martina Leonarz, Maya Götz, Thea Rytz, Manfred Pfiffner, Elisabeth Joris and Christine Scheidegger. 2017 Workshop on recipes against sexism. Feministisches Forum Bern, Switzerland. April 5. 2017 Workshop on recipes against sexism. Frauenbibliothek Basel, Switzerland. March 7. 2016 Workshop on recipes against sexism. Zürcher Frauentagung an der Universität Zürich, Switzerland. November 5th. 2016 Co-organiser of panels of working group Gender and Politics of Swiss Political Science Association (SVPW-ASSP) at annual conference of SVPW-ASSP at University of Basel (January 21st and 22nd). Together with chair Lea Sgier (Universities of Budapest and Geneva) and Gesine Fuchs (Basel/University of Applied Sciences Lucerne). 2015 Organiser of an atelier at the conference of the Swiss Association of Gender Studies (SGGF) „Institutionalising gender studies in Swiss political science: Perspectives and strategies“. Together with Gesine Fuchs (Basel), Lea Sgier (Universities of Budapest and Geneva), Eléonore Lépinard (University of Lausanne), Katrin Meyer (University of Basel) and Michelle Beyeler (University of Applied Sciences Bern). September 25th and 26th, at University of Lausanne. 2015 Discussant of Panel Going Global with State Feminism: Methodological Challenges. ECPR General Conference, Montréal, Canada. August 26th to 29th, at Université de Montréal. 2015 Chair of Panel Post-adoption Policies: Measuring, Implementing, and Evaluating Gender Equality Policies. Fourth European Conference on Politics and Gender, Uppsala, Sweden. June, 13th, at Uppsala Universitet. 2014 Workshop on rights and duties of employers on sexual harassment in Switzerland. 3rd ThinkLab event (special guest), urbanfish Bern, Switzerland. 2014 «Wolny marsz Szwajcarek» written by Iwona Aleksandra Halgas for Polish weekly magazine Przegląd (44/2014). Testimonials on gender inequality in Switzerland. 2014 Reviewer for Swiss Political Science Review. 2012 Gender Inequality in Switzerland. Frauenpavillon im Stadtpark, St. Gallen (August 30th). On invitation of the green party of the city of St. Gallen. Content: Key figures on social structures. Input and discussion held in German. 2012 Gender Inequality in Switzerland. Speech held before a delegation of Chinese exchange students on the University of St. Gallen (February 15th). Content: Key figures on social structures. Input and discussion held in English. 2009 Is that all? We need more! Gender equality offices in Switzerland. Peter und Paul, Aarau (September 1st). On invitation of Interest Group Gender Equality (canton Aargau). Content: Main results of master thesis. Input and discussion held in German. 2005 Broadcasted radio contribution on sexism in “Context” Radio DRS 1 (prepared in team work). Part of Gender Studies education to communication scientific results. Scheidegger Christine (ed.) 2016: Sexistische Botschaften in Sprache, Text, Bild, Werbung und Film. eFeF-Verlag, Wettingen. ISBN: 978-3-905561-91-3. Scheidegger, Christine 2016: Sexistische Botschaften in Texten. In: Scheidegger, Christine (ed. ), 2016: Sexistische Botschaften in Sprache, Text, Bild, Werbung und Film. eFeF-Verlag, Wettingen. Scheidegger, Christine 2015: Institutional Inspirations: Women’s Policy Agencies In Turkey And Its Neighbours. In: Dalaman, Zeynep Banu (2015): Women and politics in a global world. Küreselleşen dünyada kadin ve siyaset. conference proceedings. Aydin Üniversitesi, İstanbul, p. 73-95. Scheidegger, Christine, 2014: Women’s Policy Agencies and Institutional Architecture in Comparison: Building Blocks for Equal Gender Relations, 2014. Committee: Prof. Daniele Caramani, PhD (St. Gallen), Prof. Dr. Birgit Sauer (Vienna) and Prof. Elisabeth Prügl, PhD (Geneva). Dissertation, University of St. Gallen. Bamberg: Difo-Druck. Printed copy under christine.scheidegger@gmx.ch. Available at EDIS as electronical doctoral thesis. Scheidegger, Christine, 2008: Rahmenbedingungen für die Entstehung und Weiterexistenz von kantonalen Fachstellen für Gleichstellung zwischen 1990 und 2005. Ein Quervergleich. Lizentiatsarbeit Politologie Bern, printed by Uniprint, Fribourg. Also available online. 2016-present Founder and CEO of the start-up http://www.bogenstunden.ch. Full service provider for archery (trainer service, facility and equipment) for individuals and small groups such as parent-child, courses and team events. 2014-2016 Postdoc Bern. Free-standing scientist. Inter alias in urbanfish. 2009-2014 University St. Gallen, Switzerland. PhD Political Science in Doctoral Programme International Affairs and Political Economy (DIA). 2009-2012 Universities Berne & Fribourg, Switzerland. Member interdisciplinary graduate programme „Gender: Prescripts and Transcripts“. 1999-2008 University Berne, Switzerland. BA and MA in Political Science (major) and Sociology (2nd minor). 2002-2007 University Basel, Switzerland. Gender Studies (1st minor). 2004 University Lund, Sweden. Exchange student in Political Science and Gender Studies. 1984-1999 Zofingen, Switzerland. Mandatory schools and college (science type). 2014-present Independent social scientist in multilingual environment of urbanfish. Multifaceted counselling activities and numerous international and national projects (alone, bi- and multilateral cooperations). 2009-2013 University St. Gallen, Switzerland. Institute of Political Science, assistant of Chair Comparative Politics, Prof. Daniele Caramani, PhD. 2010 – 2012 Teaching on doctoral- and BA level in English and German. 2010 & 2011 Local organizer of the scientific conference of the European Consortium for Political Research, the ECPR Joint Session 04/2011, St. Gallen. 2009 – 2011 Member of editorial office of Swiss Political Science Review. From finished manuscripts into print. Copy editing and negotiation with authors, editor, guest editor and publisher. 2005 University Bern, Switzerland. Centre for further academic education. Student assistant for statistical analysis of further education survey and substitute librarian for the library of further academic education. 2003 Canton Basel-Land, Switzerland. Equality office, placement. Evaluation and administrative duties. 2000-2001 Non-governmental organisation, Bern. Campaigning. Drafting texts and mobilisation of voluntary workers. 2000 Telecommunication firm (Cablecom, Bern). Project assistant. Drafting business process, statistical analysis, and administrative work. 1999 Mail order company (Cornelia Versand, St. Gallen). Operator. Administrative work. 1997-2008 Private teacher in mathematics, statistics, French and English. I am a certified youth and sport trainer for archery (J+S Trainer C). Places I travelled to during my research. In my post-doctoral work I further developed my earlier research to new areas (governmental systems, gender equality governance) and applied it to different sets of countries (Europe, Middle East, Switzerland). I work as a scientific consultant (e.g. evaluation, open government data strategy for Switzerland, sexual harassment and sexism). I organised an academic panel about methodological challenges of Western concepts in non-Western research context and initiated an atelier about the institutionalisation of gender studies in political science in Switzerland. I am counselling a number of students in getting their BA/MA/PhD works done in time. I provide feedback on research proposals and act as a reviewer for scientific journals. States employ particular administrative structures to deliver policies for women’s empowerment and promotion of gender equality. 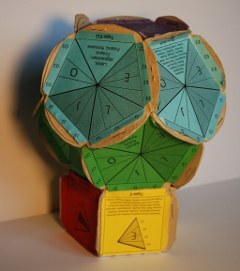 I developed several frameworks to facilitate international comparisons. On the level of single administrative structures I developed a classification of various forms of women’s policy agencies. On the level of whole states I developed a typology to compare institutional architecture in women’s empowerment and gender equality. I analysed 151 states to find patterns in gender equality architecture of states worldwide. My Lizentiatsarbeit (~ master thesis) is about Swiss gender equality politics. The main body describes the (not-) history of all 26 cantonal women’s policy agencies between 1970 and 2005. Furthermore, it shows the development on the national and municipal level and explains institutional abolition or persistence of Swiss women’s policy agencies. 2016 Political representation of women in Europe what accounts for the increase in the 2000’s? Together with Gesine Fuchs (Basel). Annual Congress of Swiss Political Science Association (SVPW-ASSP), Basel, Switzerland. January 21, 2016 at University of Basel. 2015 Effect of Women’s Policy Agencies on Equal Employment Policies in Europe. Together with Senem Ertan (Social Sciences University of Ankara). Paper presented on the fourth European Conference on Politics and Gender, Uppsala, Sweden. June 13, 2015 at Uppsala Universitet. 2015 Institutional inspirations: Women’s policy agencies in Turkey and its neighbours. Paper presented on the first Women and Politics in a Global World-conference, Aydin University Istanbul, Turkey. April 17, 2015. 2015 Swiss gender equality governance in a worldwide comparison: Opportunities for mutual international learning. Paper presented on the 6ème Congrès des associations francophones de Science Politique, Lausanne, Switzerland. February 7, 2015 at University of Lausanne. 2014 Relation between governmental system and gender equality polity strength? Variation of institutional coherence as predictor of institutional tensions and limited mission achievement. Paper presented at Annual Conference of American Political Science Association (APSA), Washington DC, United States. August 29, 2014. Available online: http://ssrn.com/abstract=2451835. 2014 State capability for women and gender equality: Worldwide comparison with a structure-based approach. Paper presented on the Annual Congress of Swiss Political Science Association, Berne, Switzerland. January 31, 2014 at University of Berne. 2014 Institutional architecture for women’s empowerment and gender equality worldwide: Institutional diversity in 151 countries. Paper presented on the Annual Congress of Swiss Political Science Association, Berne, Switzerland. January 31, 2014 at University of Berne. 2013 Comparing WPAs Globally: Classification for the 21st century. Paper presented on the third European Conference on Politics and Gender, Barcelona, Spain. March 22, 2013, at Universitat Pompeu Fabra. 2013 Comparing Women’s Policy Agencies Globally. Classification for the 21st century. School of Economics and Political Science (SEPS) Research Seminar Political Science, St. Gallen (May 8, 2013). Content: Original research (dissertation). 2013 State Capability in WEGE: Worldwide comparison with a structure-based approach. Paper presented on the third European Conference on Politics and Gender, Barcelona, Spain. March 22 2013 at Universitat Pompeu Fabra. 2012 Graphical Depictions of Women’s Policy Machineries: Representing State Capability in WEGE. School of Economics and Political Science (SEPS) Research Seminar Political Science, St. Gallen (February 15, 2012). Content: Original research (dissertation). 2011 Swiss WPAs: 1970‒2006: What is there?. Paper presented on the second European Conference on Politics and Gender, Budapest, Hungary. January 14, 2011 at Central European University Budapest and on the Annual Congress of Swiss Policital Science Association (SVPW, DVPW and ÖGPW), Basel, Switzerland. January 13, 2011 at University of Basel. 2011 Women’s Citizenship in Switzerland: What Can we Learn from the Institutionalization of Women’s Policy Machinery (WPM)?. Paper presented on the Annual Congress of Swiss Political Science Association, Geneva, Switzerland. January 8, 2010 at University of Geneva. 2007 Pathways to Swiss State Feminism. Paper presented on the international and interdisciplinary conference: Engendering Policy and Politics – International and comparative challenges and perspectives of the Gender Research Network of the School of Social Sciences, Manchester, UK. June 21, 2007 at University of Manchester. Swiss social welfare system in general and public health in particular. Augustana College, Rock Island (Illinois). In the course Global Masculinities (Prof. Vicki Sommer, Ph.D.), September 4, 2014. Changing gender inequalities in Switzerland. Augustana College, Rock Island (Illinois). In the course Comparative Social Welfare (Prof. Vicki Sommer, Ph.D.), September 4, 2014. Permanent state engagement for women and gender equality: Key findings of a worldwide comparison. Augustana College, Rock Island (Illinois). In the course Public Administration (Visiting Assistant Professor Jason S. Plume, Ph.D.), September 5, 2014.